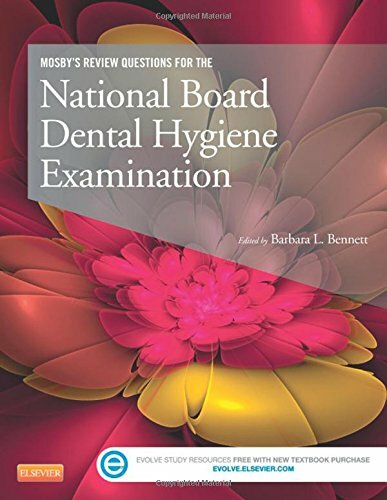 Offering the most realistic NBDHE review and practice available, Mosby’s Review Questions for the National Board Dental Hygiene Examination includes both a print book and companion website to prepare you for exam success. In the book, you’ll review with more than 1,250 Component A practice questions ― with each answer including a rationale for both correct and incorrect answer options. Online, you can review the same questions plus an additional 420 case-based items related to Component B in 1) practice mode or 2) timed, exam-simulation mode with randomized tests that match the number and distribution of questions on the NBDHE. From a team of dental hygiene experts including lead editor Barbara Bennett, this Q&A resource is an excellent supplement to any NBDHE content review book! More than 1,680 multiple-choice questions provide comprehensive practice spanning the entire NBDHE, with 1,250+ items relating to Component A ― more than six times the number of questions on the actual exam! ― and 420 case-based questions related to Component B.